List It or Love It Again? In a departure from the instant gratification sell-and-move-up climate that has dominated the housing market for the last few years, many of today’s savvy homeowners are reevaluating whether investing a few dollars in a remodel might just transform their existing house into the home of their dreams. Minor damage can make a major impact on your daily life, and many homeowners are surprised to find how inexpensive it can be to replace a cracked porcelain sink or to install new high-efficiency light fixtures. From replacing sun-baked siding to new shutters to fresh interior paint, in many cases, a minor face lift is all that is needed to give your home a new lease on life. Sometimes you need to expand your options. Whether you have outgrown the space available in your home or simply gotten tired of making do with oddly shaped rooms and awkward storage spaces, winter is a great time to consider an interior remodel. Always hated that tiny half-bath off your bedroom? Knock out a wall and that large storage closet you never knew what to do with becomes the perfect space for a soaking tub in your new master bath. Love that your kids are musically inclined, but dread the hours of practice time each night? We can turn the basement into a soundproof music studio. Love to entertain, but hate having people jostling for elbow room in the living room? Add that backyard deck that you’ve always wanted and double your entertaining space! Is your home worth the investment? Before you scrawl your John Hancock across the bottom of that real estate listing form, take a moment to look around objectively. If you do sell your home, would you be looking for another house in the same area? Is the location convenient? Do you have neighbors you enjoy? What about the quality of the schools and parks? 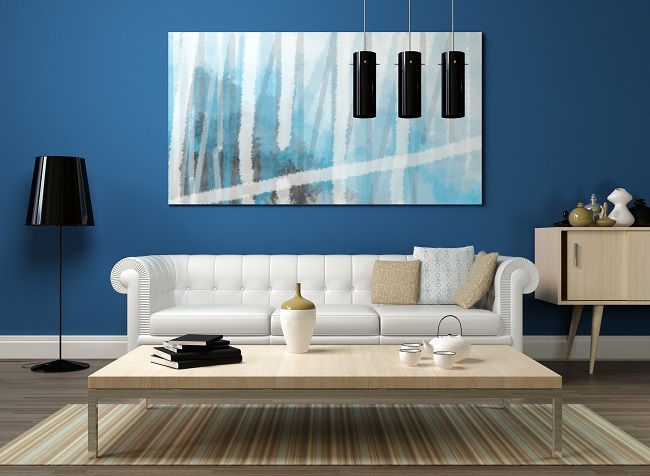 If thinking about these attributes brings a smile to your face, maybe all your current home needs is a little TLC from the experts at Excellent American Painting & Handyman Service to make you fall in love with it all over again. Contact us today to see how we can help! Everyone has a checklist of things that need to be done around the home for routine maintenance. There is a seemingly unending list of things to clean or replace in order to keep things safe and running smoothly. It can be hard to remember every detail, even though forgetting can be a hazard. In order to keep the home safe, it is important to not overlook or put off these ten hidden dangers found in the Home Safety Checklist at RealSimple.com. While the most obvious, it is also easily forgotten, partly because it is ignored unless it is beeping. Install plenty, and don’t wait for the low battery beep. Check the batteries and clean the vents monthly. Be careful to not overload outlets, and check all cords for frays or if they have been compromised. Feel outlets and plugs. Warmth can be a sign of a problem and an electrician should be notified. Use extension cords only when necessary and within the proper wattage. What is that? The technical term is ground fault circuit interrupters, but most people probably know them as the outlets with little buttons in the middle that always have to be reset. They are meant to shut off when the current moves through an unintentional path. 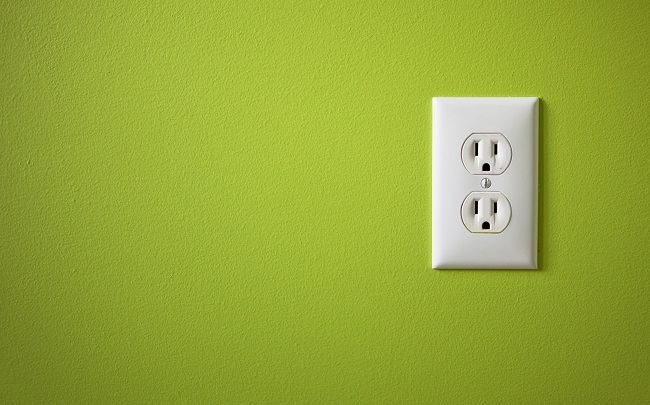 According to the Electrical Safety Foundation International (ESFI) these outlets have reduced electrocutions by 83%. They are required in certain areas of the home and should be checked frequently to insure they function properly. Whether it’s the water heater, or an electric or gas heater, proper maintenance is vital. Keep flammable materials away from water heaters. Make sure all outside vents for the heater are unobstructed to avoid carbon monoxide buildup. A chimney should be inspected by a professional each year to insure proper functioning. Inspect wood-burning stoves twice a month. Make sure the door latches. Only use seasoned wood to avoid a buildup of soot. Keep one in the kitchen and garage and one on each floor of the house. Replace if damaged or expired. Dryer vents going to the outside become a fire hazard when filled with lint. Check often to make sure they are clear. Heater and air conditioner vents need to be cleaned or changed monthly. This is often overlooked, but checking for damage and making sure it is up to code is one way to prevent fires in the home. Loose wires, water or structural damage, and pests can hide in places like the attic and basement. Look in hidden areas often for signs of problems before they become costly and dangerous. It’s easy to dismiss plumbing problems as something that comes with an older house (or any house), but there are signs of bigger issues that need to be checked out. Poor water pressure, discolored water, water spots on ceilings, and gurgling are just a few hints of a bigger problem. Safety is important, and sometimes it takes a professional to make sure things are fixed properly and up to code. Please contact us with any questions about how we can help make your home safe! Interior Painting – Coloring The World You Live In. There are few things we take for granted more than the paint and finish of the walls of our homes. Yet there aren’t many things that we live with so closely, that set the mood, and color the day-to-day dramas and the smallest moments of modern life. Perhaps your family has outgrown an old-fashioned style, or maybe you’ve been living too long with the color choices of your home’s previous owners. Whatever the case may be, when the time finally comes to breathe new life into the walls of your home you’ll probably find yourself with more than a few questions about how to get satisfying results with such an important part of your world. Maybe you’ve considered trying to save a little money and doing it yourself. Most of us have undertaken a do-it-yourself painting job of some kind at some point. But the preparation, sampling, painting and clean-up are only part of the equation. Long after the careful prepping and tedious labor are completed, the real life of your painting project begins; the years of life your family will spend enjoying the results. You can take the first step towards a worry-free painting process by requesting a quote online, or having a talk with Excellent American Painting‘s color consulting service. When you’ve got your color choices narrowed down, you can count on pricing that doesn’t change, unless you decide to change the size of the project. You can also count on friendly painters who respect your home and take pride in leaving you with beautiful results that you’ll be proud to share with your family and friends. Our business is built on quality work and attention to detail. Your satisfaction is the most important part of any job we do. You can count on great communication at every step of the way, and we’re not done until we follow up and make sure you absolutely love the results. Your life is lived inside your home, let us help you color it beautifully. Talk to us at Excellent American Painting Services, we’d love to hear about what we can do for you and your home. It’s good to have general electrical knowledge whether you are a homeowner or a business owner. Troubleshooting situations regarding your electrical system can save you time and money. Know when you need to call on a licensed electrical technician. Remember your electrical system can be repaired, upgraded and replaced at any time. Short Circuit – what is that? When the black hot wire carrying an electrical current comes in contact with the grounded white wire generating heat and sparks and tripping the breaker in your electrical panel. The usual quick fix is to reset the circuit breaker. However, if there is a wiring problem the breaker will not reset and you will need to call on a licensed electrician. GFCI Outlets – what is their purpose? First of all, what does that stand for? It means ground-fault circuit interrupter. A room in your house that is more susceptible to water or moisture, such as a kitchen or bathroom, will have these types of outlets installed. The two buttons on the face of the outlet say Test and Reset. If water or moisture gets near this outlet, it will trip the flow of electricity to prevent shock. You can reactivate the flow of electricity by hitting the Reset button. If you cannot reset the circuit, you will need to call a licensed electrician. 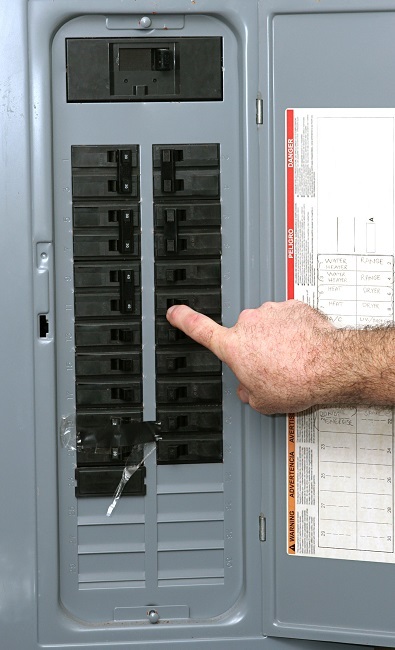 Electrical Panel or Breaker Panel – How do I know if it needs replacing? If the lights in your home are constantly dimming or flickering, especially when other appliances are being run, there is a good chance that you will need to replace the breaker panel. When you run appliances such as microwaves, hairdryers, or air conditioners and lights are flickering, it is important to have a licensed electrician troubleshoot the problem to check for proper wiring and possibly a electrical panel replacement. Outlets Not Working – How do I troubleshoot this problem? 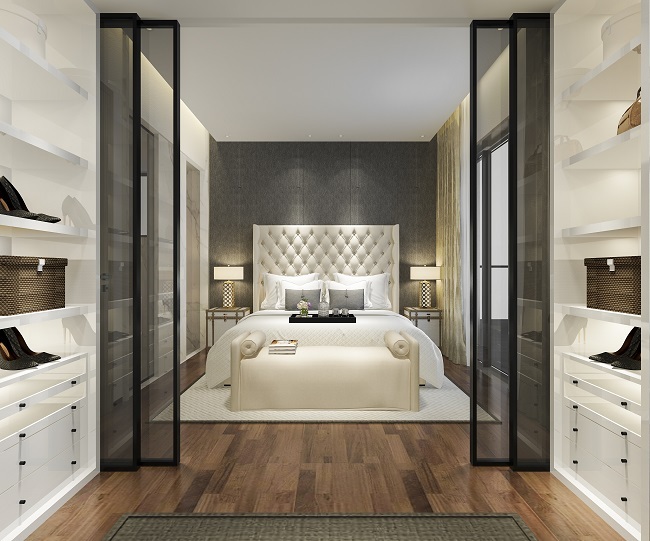 To save money many builders do not install a ceiling light in the bedrooms so the switch on the wall will only connect to one specific outlet in the room. Get a lamp or test each outlet in the room with the switch turned on. You should be able to determine which outlet is connected to the wall switch. If this test does not work, check the circuit breaker. If you cannot find the solution, call a licensed electrician. Hiring a licensed electrical technician contact us to evaluate your electrical problems is the safest way to make sure that your home and family remain safe. For all of your electrical needs, wiring expertise and first-class service, call Excellent American Painting and Handyman Service at 214-938-1088. Some of us remember the old days when water had to be heated on the stove for us to be able to enjoy a nice hot bath. Nowadays, it is as simple as plugging the water heater on and just relaxing in the tub. The warm water just flows directly in. But what happens when your routine warm bath suddenly turns cold? Is it time to repair or replace your water heater? How long does a water heater last? A leak would be a good reason to replace your water heater. The pressure-relief valve is leaking, it is time to replace it. On the other hand, if what is leaking is the water supply pipe, the fittings need to be tightened. If that doesn’t work, then the fittings need a replacement. If your water heater is older than 8-12 years, it might be time to change it. It all depends on the brand and the model. Remember that proper installation, maintenance and water quality can also affect how long a water heater will last working in good condition. 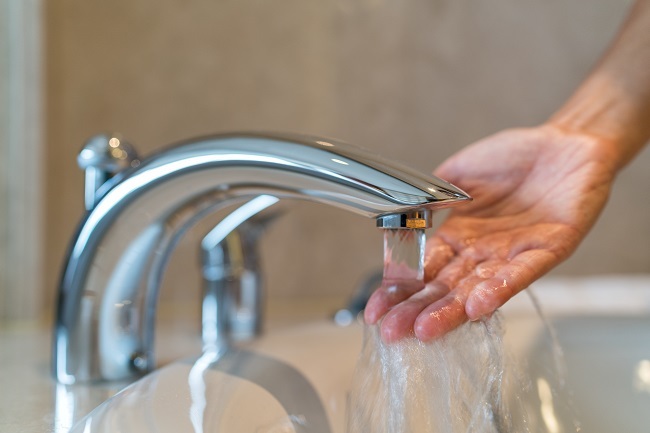 Deciding to upgrade your water heater can be another reason to replace it. When buying a home, it is a good idea to check the water heating system. You may choose a more modern alternative with features that meet your household needs. To cut energy costs, a small shower water heater can replace your home’s big old water heater. If your water heater is affecting your energy bill, it may be time for an energy saving model. There are energy saving brands that make full sized water heaters as well. In the case that the water heater stops working well, it may be time to change it. If the water heater has not been used for more than 7 years, call the store for a consult and possible repairs. You may also be able to get a product replacement if the model you purchased is defective. For more questions regarding your water heating system, contact us. We are the one call solution for all your home improvement needs. 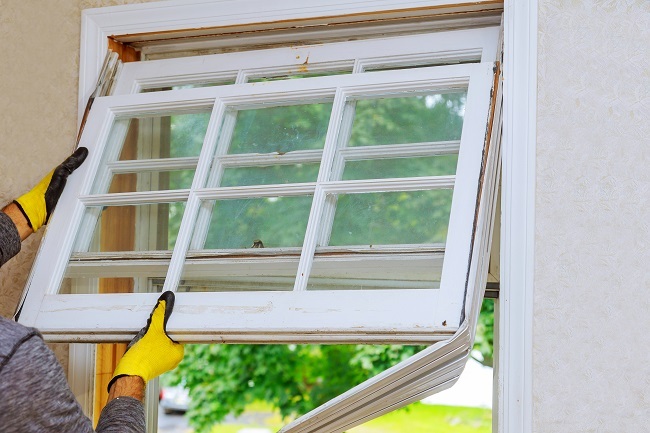 When it comes to home improvements, it’s easy to overlook replacing your windows. After all, unless a pane is cracked or you notice an active leak by the windowsill after a rainstorm, you likely give little thought to the frames. However, replacing your windows is one of the best ways to make the house more comfortable and improve property value. As with all aspects of your home’s exterior, the windows will eventually need to be replaced. Here are a few great benefits of having new windows installed before the old ones are completely worn out. Old single-pane windows do very little to reduce noise contamination around the house. If you’re watching TV with the volume up, there’s a good chance your neighbors will be able to hear it. Similarly, if there’s a party down the block, you’ll likely hear the music and revelry well into the night even if the windows are closed. Upgrading to new double or even triple-pane windows will greatly reduce the amount of noise that seeps in or out of your house. Old windows have a way of growing draftier by the year, making the house incredibly warm during the summer and cold and humid during the winter. By installing new windows, you’ll be able to keep each room more comfortable year-round without putting additional strain on your heating and cooling system. Even better, the added insulation of new windows will help reduce your energy bill for many years to come. Though Texas has some pretty volatile weather, we also see many beautiful and cool days during the spring and fall. Rather than running the air conditioner, many homeowners simply open the windows and enjoy the fresh air. However, old windows are notoriously difficult to open and close as dirt and age can damage the tracks and hinges. Upgrading to new windows will allow you to open and close the windows easily. Replacement windows are one of the best investments you can make in your home. Contact us today for more information or to schedule an estimate. You’re probably thinking to yourself… “I can patch up that damaged Sheetrock in my bedroom”. You can purchase a drywall repair and Sheetrock repair kit at any home improvement store and do the job yourself, right? In theory, yes, but there are a number of reasons to rely on a professional instead. This is the biggest issue with attempting to fix damaged Sheetrock yourself… it usually doesn’t look good! A lumpy appearance and shoddy workmanship are bound to be a problem if you don’t do the repair properly. Spacing, proper application, and the general knowledge of working with Sheetrock on a daily basis are all relevant factors to doing the repair work properly. And, as a homeowner who generally doesn’t work with these materials on a daily basis, you’re likely to do something wrong which will result in the work being done incorrectly. The company is fully licensed, bonded, and insured, guaranteeing the repair work done on your walls. The experience of working with the equipment, drywall, and knowing how to repatch and repair the damage. The use of the proper tools, equipment, and bonding materials, ensures a smooth, even finish, once repairs are complete. A team which is fully equipped to perform major or minor repair services, and will guarantee your satisfaction with the services performed. Ultimately, licensed and trained professionals are knowledgeable, know the proper tools to use, and how to properly approach the repair job. They also understand not all drywall repair is a “one size fits all” task, meaning a repair kit usually isn’t the best approach to repairing damaged drywall. To learn more about services offered by Excellent American Painting & Handyman Service, or to schedule your consultation you can call 214-938-1088 or contact us online today to speak with a trained professional who can help you determine the best approach to tackling your service needs. Custom paint is an excellent, cost-effective way to add interest to the interior of your residence. When getting one or more rooms painted, consider adding faux finishes that will produce a distinctive appearance in your home. To create a stylish look on walls and ceilings, one popular choice with homeowners is sponging. After applying a base coat of paint and letting it dry, a sponge is used to softly dab the surface to create a lovely design or texture utilizing a mixture of glaze and coordinating paint colors of your choice. This type of finish will add depth to any room. Because techniques vary, sponging creates a unique appearance that you’re sure to love. Color washing is another excellent way to add a unique look to one or more walls in your home. Such a treatment looks quite stylish in a master bedroom or family area. Color washing will create a textured, Old World appearance on a wall. After a base coat is applied, a different color of paint mixed with glaze is applied. The base coat will still show through but with a softer look. Depending on your preferences, additional layers might be needed. This type of custom faux finish adds dimension to a room and makes a perfect accent in a home. If you want a truly unique and exciting look in one of your bathrooms, consider getting a harlequin faux finish on the walls. The diamond-shaped pattern will create immediate interest in the room. Select gorgeous paint colors in two similar tones for a fabulous result. You can even outline each diamond in gold, silver, or some other shade of metallic paint for a chic appearance that you won’t see in many homes. Multiple types of beautiful faux finishes exist for residential homes. For more information on the kinds of custom faux finishes you can get for your walls and ceilings, please contact us today. After several years time, all houses need a little touch-up to keep them looking in top shape. An excellent way to accomplish this is with paint. To give your home a fresh, new look, consider repainting the interior of each room. If you can’t decide on a specific paint color for the walls, the below suggestions can guide you. Several excellent choices exist that will give your rooms a chic appearance. Creamy White — Still one of the most popular paint choices with homeowners, white brightens a room and allows you more freedom with your decorating since it goes with everything. Choose a white with light creamy undertones so that the color isn’t a blinding white, which can look too sterile. 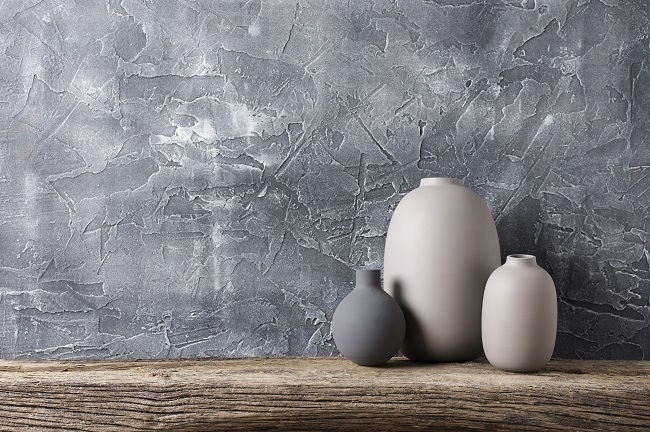 Taupe — If white seems too ordinary, or you’re just ready for something different, try a gorgeous taupe color. This shade is a combination of gray and beige, so it looks fabulous with traditional as well as contemporary decor. It’s a great compromise when you can’t agree on one specific color since it’s a mixture of two commonly favorite shades blended into one. Dusty Rose — For a color that’s simple, yet elegant, try dusty rose. This shade is a muted tone of pink. Don’t let the pink scare you away though, because this color also includes undertones of gray to balance it out. It looks chic with both light and dark wood stains, making it quite versatile and a favorite, regardless of your decor style. Blue-Green — A paint color that is gaining popularity with homeowners is one that consists of a delicate blue-green. Both the blue and green tones, blended with only a touch of each, combine flawlessly to produce a soft, pale result. This wall color goes exceptionally well with white cabinetry in your kitchen and bathrooms. Furniture and materials in gray or with gray accents will also genuinely highlight this distinctive color. For more information about interior paint colors, or to set up an appointment to get the rooms in your home painted, please contact us today. When you own a house, it always seems like a thousand different projects need doing. 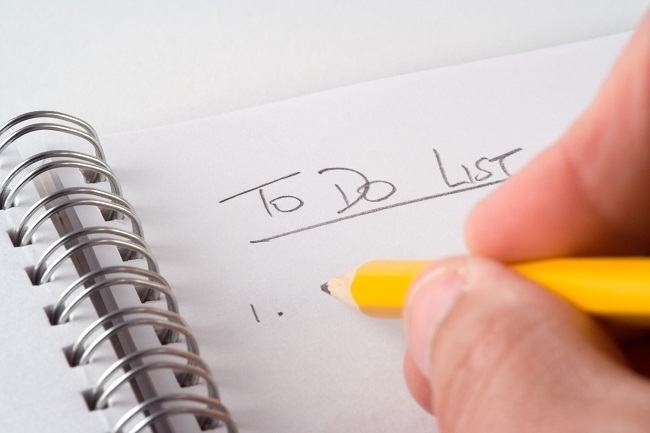 If your “to-do” list has become overwhelming, consider hiring a professional handyman to help you out. A good handyman will have experience in a variety of areas and can help to make your life a lot easier. * Install New Ceiling Fans – If you’ve purchased one or more ceiling fans for your home, and they’re still in the box, then you need help. Climbing up on a ladder, fiddling with the electrical wiring, and then trying to get everything installed correctly can seem like a daunting task. When you hire a handyman, you don’t have to go through that. A handyman, with ceiling fan experience, can do it faster, safer, and better. * Paint the Baseboards – If your baseboards are dull and grimy, then they need repainting. New-looking baseboards will improve the appearance of your entire home. Instead of trying to match up the paint yourself and then spending your weekends or evenings on your knees painting, let a handyman do the job for you. With the expertise of a professional, the task will go quickly, and you won’t have to give up your own time. * Put Up New Shelving – If you need storage shelves in your home office or garage, don’t fret over measuring everything to try to get them installed correctly, ultimately to realize that they’re still not straight. Hire a handyman who can put up those shelves like a professional. You’ll get the extra storage that you desperately need without the hassle or the anxiety of trying to hang the shelving yourself. Just about any job on your “to-do” list, whether large or small, can be handled by a professional handyman for a reasonable cost. For information about hiring a handyman, please contact us today. We’ll help you get your home in order and ease your stress. At Excellent American Painting, we are proud to provide outstanding residential painting and carpentry services in the Frisco, TX area. As painting contractors, we want to make sure that you have a one-call solution for all of your home improvement needs. We are more than just your average DFW painting company! Whether you need a painting touch-up on your trim or molding or a whole kitchen remodel, Excellent American Painting is just a phone call away. Contact us today to schedule an estimate! Highland Village, Little Elm, Lewisville, McKinney, Plano, Prosper, and The Colony. Business hours: We work seven days a week from Monday to Sunday 7 a.m. to 9 p.m.